Robert E. Lee Research Papers look at the life of one of the military's great commanders. 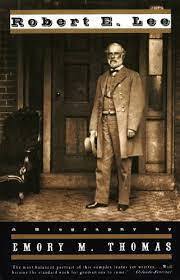 Robert E. Lee research papers are written for military history, military leadership or U.S. History courses. Paper Masters has written on Lee's career as a military commander, his battle strategies, the state of the nation during his lifetime and much more. Robert E. Lee evoked strong loyalty and feelings of affection from his men, yet generally kept his own feelings hidden. Lee was a man who opposed slavery, yet fought for a nation which sought to perpetuate slavery. His military tactics and strategies are still studied by military commanders today. Unlike many heroes of today and the past, it is almost impossible to find a hint of scandal around him or any other fault for that matter. But, there was more to Lee than military genius. Robert E. Lee was born on 19 January 1807 at the Stratford Plantation in Virginia. He was the son of Henry Lee, nicknamed “Light Horse Harry” for his Revolutionary War exploits and the former Ann Hill Carter. The Lees were one of the most prominent families in Virginia, and Henry Lee was a successful soldier and popular politician. However, he lacked business acumen and was usually broke. He spent time in debtors prison and died when Robert was thirteen. Lee learned patience and the value of hard work from his mother. She was also responsible for his devout Christian faith and his gentlemanly character. In 1825, Lee received an appointment to West Point. He was a superb cadet. Lee graduated second in his class and finished his West Point career without ever receiving a single demerit, a feat unequaled before or since. Lee was commissioned as an engineer and took on a series of construction projects shortly after graduation, including building the St. Louis waterfront. In 1831, Lee married Mary Custis, who was descended from George Washington’s wife, Martha. This is ironic in that Lee’s hero was Washington. Through his wife, he inherited a substantial estate and some money, both of which he managed wisely. During the Mexican War, Lee was attached to General Winfield Scott’s staff. He took part in many daring reconnaissance missions and received several brevet promotions. After the war, Lee transferred to the cavalry, where promotion was faster. He served as Superintendent of West Point and later was posted to a unit in Texas. In 1859, he was home on leave to settle his father-in-law’s estate when he was assigned to capture abolitionist John Brown, who had seized the arsenal at Harper’s Ferry, VA.
Lee opposed succession, and he opposed slavery. In a letter written in 1856, he said, “There are few, I believe, in this enlightened age, who will not acknowledge that slavery as an institution is a moral and political evil” . Lee himself had freed the slaves that he had inherited. However, Lee was loyal to his home state of Virginia. He was offered command of Union forces, but declined, and, instead resigned his commission and offered his services to Virginia, despite his misgivings about the upcoming war. Lee was given command of militia in Virginia, them was assigned to the Confederate War Office. He participated in some unsuccessful campaigning in western Virginia and was sent to North and South Carolina to improve their coastal defenses. Theory of War Strategy - In American history, countless war strategies have been used to varying effects, but the unifying factor is that there is always a strategy in place. Abolitionist Movement - Abolitionist Movement research papers and custom essays outline the anti- slavery movement in America. Freed Slaves and Land Ownership - Freed Slaves and Land Ownership research papers show the importance of land ownership when slavery was abolished in the South. Killing Lincoln: The Shocking Assassination - Lincoln's assassination occurred less than a week after Robert E. Lee's surrender to General Ulysses Grant. Pickett's Charge - Taking place on July 3, 1863, the battle was an offensive planned by General Robert E. Lee but ineffectively implemented by Lt. General James Longstreet. The Battle of Antietam - The Battle of Antietam research papers discuss a battle that marked a turning point in the U.S. Civil War. Emancipation Proclamation - The Emancipation Proclamation research papers discuss the law that helped start the abolition of slavery in the United States. Black Soldiers and the Civil War - Black soldiers and the Civil War research papers report that the issues of slavery and emancipation were at the very heart of the Civil War. Abraham Lincoln and the Civil War - Abraham Lincoln and the Civil War term papers report on the abolitionists and how Lincoln planned to handle the possibility of war. Causes of the Civil War - A majority of mainstream historians can, and will, attribute the Civil War to one single cause: slavery. Order a research paper on Slavery from Paper Masters. The Battle of Chickamauga - The Battle of Chickamauga lasted two days and weakening the Confederacy as the fall of 1963 approached. Paper Masters writes custom research papers on Robert E. Lee and look at the life of one of the military's great commanders.